From now on, all new products for the B2C and B2B markets will be labelled only with the WD logo. The changes were introduced with the launch of Ultrastar DC HC320 model, but have now been implemented in all products available in the offer. HGST dates back to 2003. The company was established after the merger of Hitachi and IBM storage divisions. In 2012, the company was taken over by Western Digital. For the next 6 years, it operated under its own name, manufacturing proprietary lines of HDD and SSD disks. Despite the different company name, product part numbers will remain unchanged, so there will be no problem with the search. 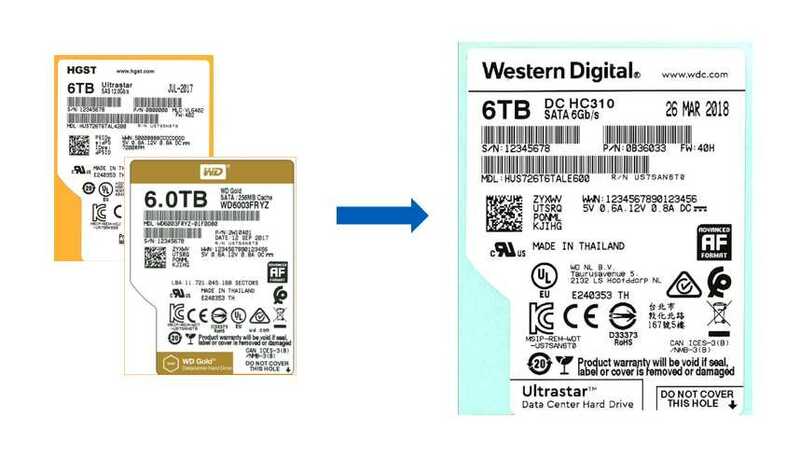 For some time, it may happen that the product received will bear a HGST sticker, but soon all products will be branded with the WD logo. Western Digital has been in operation since 1970. It is one of the world’s largest manufacturers of hard drives. Senetic offers a wide range of HDDs, SSDs and JBOD Storage devices, as well as Ultrastar Serv24, Ultrastar Serv24-HA and NAS solutions. 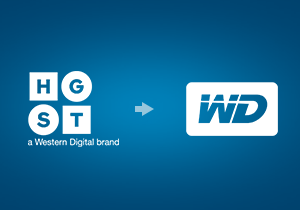 Share the post "HGST is now Western Digital! Quality remains, while the possibilities grow"